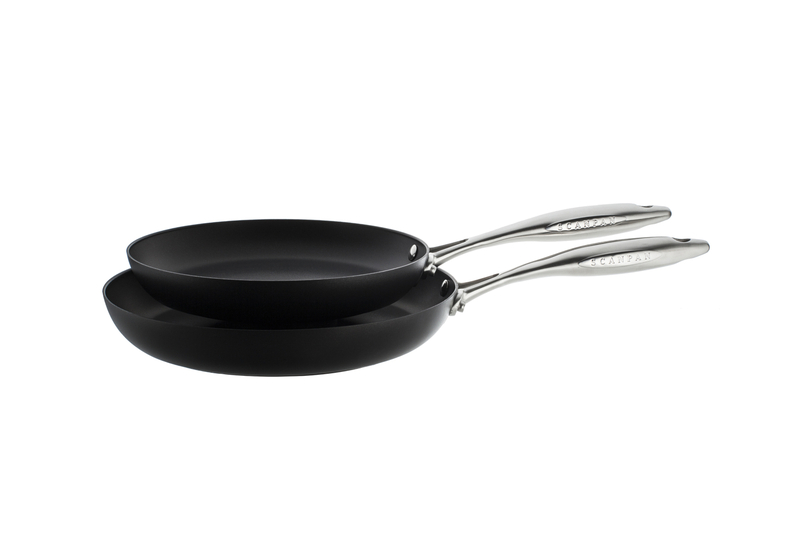 This Scanpan 2 piece non-stick fry pan set is an economical way to try this amazing non-stick cookware. Unlike most non-stick, Scanpan can be cleaned in the dishwasher. You can also use metal utensils on it because of the hardness of its non-stick surface. It's guaranteed not to peel or crack...for life! Scanpan pots and pans are made with 100% recycled aluminum and crafted in Denmark.